Shortly before 11:00 p.m. on April 16, emergency 911 operators received a call about smoke and flames emanating from the roof of the terminal at Colorado Springs Airport (COS). Within minutes, the airport had a three-alarm fire on its hands. When the time came for Valley International (HRL) to upgrade its aircraft rescue and firefighting (ARFF) facility, officials at the Harlingen, TX, airport joined forces with their design team to create a building uniquely designed for firefighters. The new $3.8 million, 10,000-square-foot station officially opened in May with a host of features to enhance safety and efficiency. 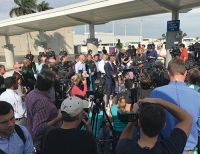 Early last year, Fort Lauderdale-Hollywood International Airport (FLL) in Broward County, FL, experienced the deadliest airport shooting in U.S. history when a passenger killed five people and sent six others to the hospital with injuries. More than 50 others were hospitalized for chest pains, low blood sugar, broken bones, etc. incurred while fleeing the scene and during a subsequent stampede triggered by false reports of another shooting. "Be prepared” isn’t only the motto for Boy Scouts. The Houston Airport System follows the same philosophy for providing emergency services at George Bush Intercontinental Airport (IAH), William P. Hobby Airport (HOU) and Ellington Field (EFD). The timeless wisdom of its approach was demonstrated last June, when an F-16 crashed at EFD— a three-runway airport that serves a variety of military, NASA and general aviation operations. Traffic is changing at Juneau International (JNU), and so is the airport's emergency response program. As the airfield begins to receive an increasing number of larger-capacity aircraft, officials are enhancing its aircraft rescue and firefighting (ARFF) capabilities accordingly. Last year, the Alaska airport purchased a $750,000 state-of-the-art ARFF vehicle that is so tall and wide, JNU needed a larger station to house it. The recent $2.6 million renovation project also brought its facility up to FAA specifications and added more room for gear and support functions. Faced with the prospect of heavy FAA sanctions, Martha's Vineyard Airport (MVY) was under the gun to replace its aging, non-compliant aircraft rescue and firefighting (ARFF) building. When its new $10.4 million facility opens in November, officials will officially close the book on a difficult chapter for the county-owned airport. Last fall, amid the final flurry of campaign activity before the U.S. presidential election, New York's LaGuardia Airport (LGA) experienced a runway incident that briefly closed the entire airfield and thrust its safety systems and response procedures onto center stage. When the dust settled, it also reaffirmed the airport's policy of putting safety first and proved that planning ahead can make all the difference. Meeting annual training requirements for aircraft rescue and firefighting (ARFF) personnel can be particularly challenging at smaller airports with small staffs, where firefighters often perform airfield maintenance in addition to their primary ARFF and operational duties. 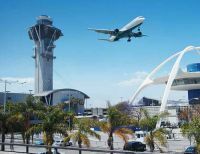 Although the 2013 shooting incident at Los Angeles International Airport (LAX) was resolved in just three minutes, six people were wounded and a TSA officer lost his life. The tragic event left permanent scars on the airport...and also prompted an extensive review of response operations at the facility that serves more than 70 million people annually. 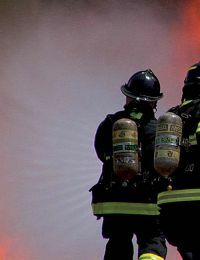 Emergency crews at O'Hare International Airport (ORD) can now train without the omnipresent danger of blazing flames and structural collapse. There's no smoke and mirrors involved, just a customized aircraft firefighting and rescue (ARFF) simulator that safely replicates actual emergency situations with virtually no risk to equipment or personnel. As the Pentagon converts two Midwestern Air National Guard units from flight training to drone operation regiments, the airports that hosted the units lost their aircraft rescue and firefighting services (ARFF) in the process. Acting separately, both airports turned to the private sector to fill that gap. On Oct. 1, Iowa’s Des Moines International Airport (DSM) and Fort Smith Regional Airport (FSM) in Arkansas turned over their ARFF operations to Pro-Tec Fire Services, the largest private provider of ARFF services in the industry. While both DSM and FSM received advance notice that their ARFF services would be leaving with their respective guard units, the airport’s individual situations differed — and so did their reactions to the news. In today's post-9/11 world, demand for extensive and realistic emergency responder training has never been higher. A new $35 million facility at Outagamie County Regional Airport (ATW) in Appleton, WI, will help meet that need. In March, Orlando International Airport (MCO) hosted the largest full-scale emergency exercise in Florida history. The four-hour training event included more than 1,200 participants - 600 volunteer victims, each with a specific injury; 400 first responders from four different counties and multiple agencies; and staff from 16 hospitals throughout the region. 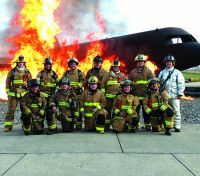 Dallas/Fort Worth International Airport (DFW) recently enhanced its well-established aircraft rescue and firefighting (ARFF) training program with $29 million of updates and renovations to its Fire Training Research Center. A mockup of an Airbus A380, the world's largest passenger jet, is now center stage. Approximately 150 people packed the new airport emergency operations center (AEOC) at the Greater Rochester International Airport (ROC) during an emergency exercise tabletop drill in June 2011. The more spacious facility was a vast improvement over the tiny multipurpose room in the main terminal that formerly served as the airport's emergency command post. For years, rescue and firefighting services for Roanoke Regional Airport (ROA) in western Virginia operated out of a public joint-use station located on airport grounds. 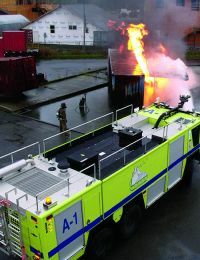 The city's structural firefighters drove out of one set of doors for standard calls such as house fires; aircraft rescue and firefighting (ARFF) crews used a separate set of doors and equipment for airfield incidents. In July, the airport finalized its transition from public to private ARFF services. When Allegiant Air announced plans to expand service to Bellingham International Airport in Washington, it started the ball rolling on several facility upgrades, including construction of a $2.2 million aircraft rescue and firefighting (ARFF) station. Police at Detroit Metropolitan Airport (DTW) sprang into action when the infamous "underwear bomber" unsuccessfully attempted to bring down a Christmas day flight en route from Amsterdam. Two days later, DTW police were back in full crisis response mode when a passenger aboard the same Amsterdam flight locked himself in bathroom and prompted another emergency landing. These are events which make the recent construction of a $3.9 million public safety training center seem proactive and full of foresight. Not being prepared is not an option at Hartsfield-Jackson Atlanta International, the world's busiest airport, serving more than 90 million passengers annually. Visitors can gamble on just about anything in Reno, NV. But airport officials don't leave safety and security to chance. An $11.9 million aircraft rescue and firefighting (ARFF) facility completed last August at Tahoe-Reno International Airport (RNO) helps stack the odds in their favor.